Discover the 20 best video slot machines to play and try all of them FOR FREE on CasinoSmash! If you are bored of the video Slots you are playing and looking to try a new one out for the first time, why not try one of the Slots that many other aficionados are enjoying? 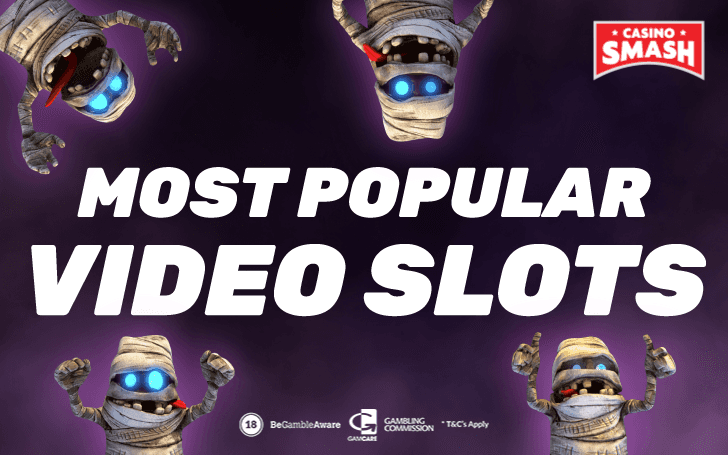 We have put together a list featuring the 20 most popular video Slots out there. While which Slot you choose comes down to personal taste, we bet that you find at least a few on this list right up your alley! You can check them all out for free to see how much you like them before testing your luck for real money. Battles and warfare are inseparable part of many video games. And Casino video Slots are not that much of exception. 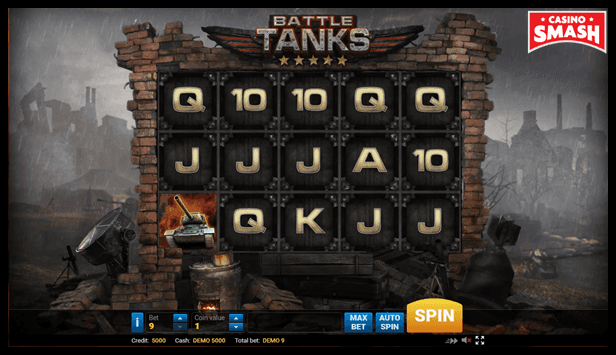 Battle Tanks Slot took a look at warfare from a different perspective. Impoverished by war city in the background, mournful music, and rain pouring down on the reels. It’s not a cheerful and colorful view you’d see in most of the Slots. But considering the theme, Battle Tanks depict war in its true colors. And graphics as well as the soundtrack fits perfectly. You can see a group of real artists developed the game. And that developer would be Evoplay. The whole brilliant theme is set to five-reel three-row Slot machine with nine paylines. While playing the game you can activate 15 free spins or 3x multiplier. There are also wild substitutions. If you’re lucky enough, you can also activate a bonus game. There, you get to shoot enemy’s tanks and increase your winnings. To enjoy this Slot to the fullest, make sure to play it in Full HD. I don’t know how much you knew about Egyptian god Ra before but playing video Slots nowadays is enough to learn plenty. Egypt and its gods are quite popular theme for one-armed bandits. 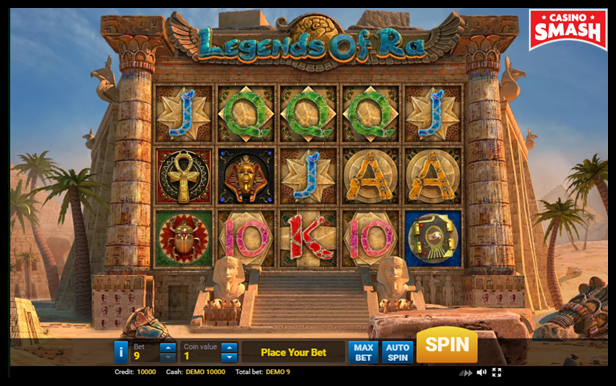 And Legend of Ra is one of many Slots bearing this theme. Why this particular Slot is in the list, then? Simple. It’s a fastinating Slot game by Evoplay, with 5x3 reel structure set in a magnificent golden pyramid surrounded by sand dunes, palms, and pyramids. The symbols include Tutankhamun’s mask, scarab beetles, and there is even a cartoon mummy popping up on your reels. You can win 100,000 coins while playing this Slot machine. If you land three or more scatters, you activate 12 free spins. Three or more Isis symbols trigger the bonus game. And there is also a Gamble feature if it’s not enough for you. 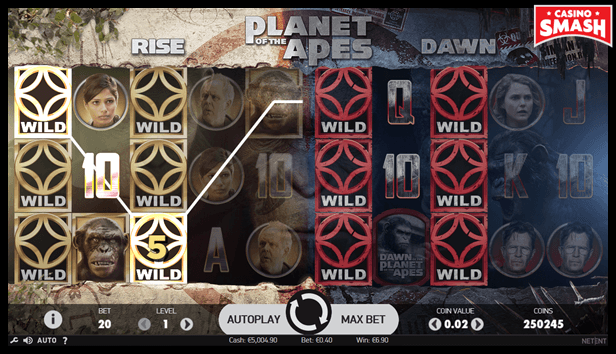 Planet of the Apes is another incredible Slot. It doesn’t even matter if you watched the Planet of the Apes movies. This Slot machine is a must-try. What’s so must about it? The structure. While previously mentioned Slots has the now-classic 5x3 reel structure, Planet of Apes has double reel structure. Inspired by two movies, one is called Rise, the other one – Dawn. Each of them has five reels and three rows, their own symbols and special features. And there are plenty of those in the game. Some of them active only in their reel area, some connecting both areas. For example, in Duel feature, one symbol is chosen for each area and if it lands in its area while spinning, it sticks. This feature can be activated randomly before any of the spins. If you love the Oscar award-winning movie, The Lord of the Rings: The Fellowship of the Ring™, you will undoubtedly join those that absolutely love the Lord of the Rings video Slot. 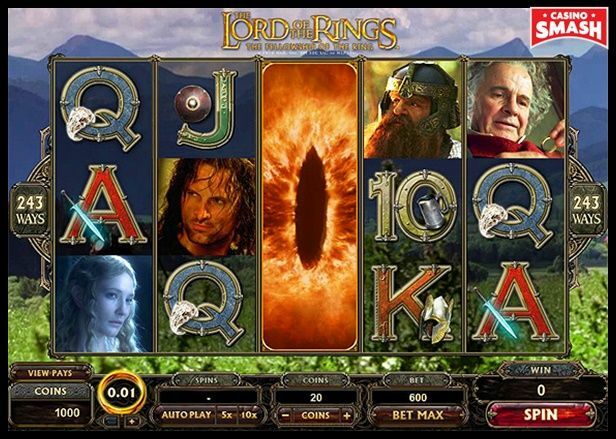 This amazing Slot features great graphics to get you in the LOTR spirit and even enables clips from the actual movie in the background behind the reels during spins. This slot by Microgaming is packed with tons of action in only five-reels and 243-lines. Giving you tons of chances to win on each and every spin. What keeps people playing is not only the big money to be won, but the movie clips that pop up each time you hit a winning combination. Perhaps the most lucrative aspect of this game is triggering the bonus game, since doing so will reward you with 15 free spins. The rewards in this free spin bonus game can theoretically be endless since every time you match three scatter icons on one spin, your free spin balance will be reset to another 15 free spins. 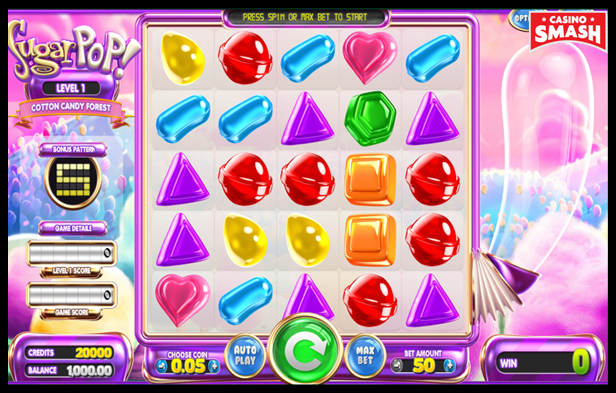 If you’re one of the people who enjoyed Candy Crush on Facebook, Sugar Pop is a perfect Slot for you. Developed by Betsoft and inspired by this infamous Facebook game, Sugar Pop is packed with unique features and 243 ways to win. The symbols are all different candy and lollipops – the game looks as sweet as it gets. Structure is fairly special, too – five reels and five rows. And while it looks simple, the Slot is quite brilliant. At least its RTP of 97.7 percent is. During the gameplay you have a chance to climb up the levels. If you trigger the bonus round, the game will remind you of Candy Crush even more. You’ll have to clear the patterns of candies, to make space for your bonus. The jackpot consists of only 5,000 coins but you win frequently enough to not worry about the main prize. And if you love the Slot as much as I do, you will be delighted to find out that there is a sequel: Sugar Pop 2: Double Dipped. 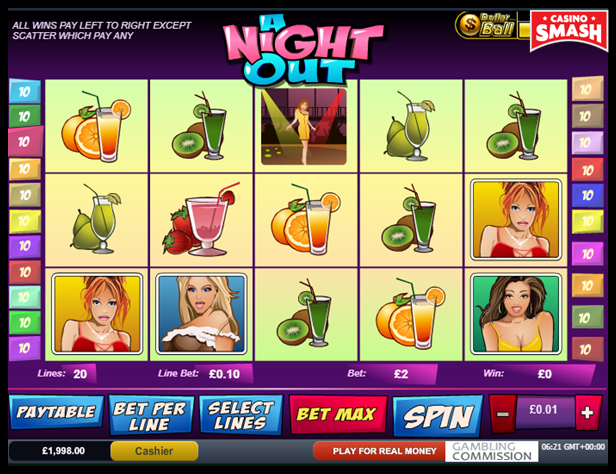 The A Night Out video Slot by Playtech allows you to immerse yourself out on the town while relaxing in the comfort of your own home. This five-reel, 20-line video Slot machine features a Pint of Beer as a wild symbol, a Bartender as a bonus symbol, and a Woman on the Dance Floor as a scatter symbol which also acts as a multiplier. The main attraction of this video Slot is to hit the Dollar Ball Jackpot where you are asked to choose five numbers. Each time a number is matched in a spin, you will find yourself a little richer. Match all five numbers and you will find yourself winning a handsome jackpot! Lilith’s Passion is one of the Slots that you start playing if you judge the book (or games) by their cover. But you keep playing them because of what’s inside. 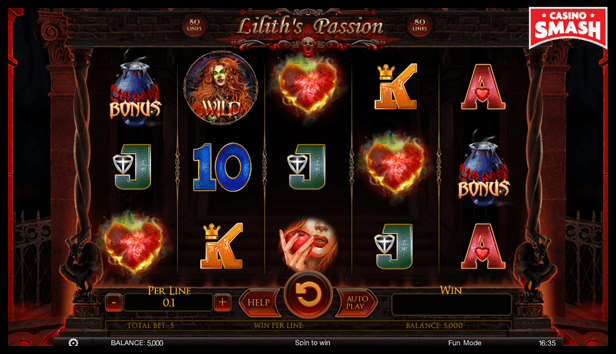 And in Lilith’s Passion’s case it’s free spins feature, stacked wild respins, multipliers, sticky wilds, bonus games, and more. Developed by Spinomenal, the Slot bursts with awesome yet sometimes creepy graphics, scary tunes, and symbols. Creepy? Yes. Lilith is a dangerous demon, if you haven’t heard. After all, even the symbols are sinful. The apple that made Adam and Eve leave the heaven, bloody roses, glasses with blood (or poison? ), and the evil Lilith herself. It’s safe to presume the gameplay is happening in hell. Red colors and devils on the corners of the five reels will definitely give you that idea. 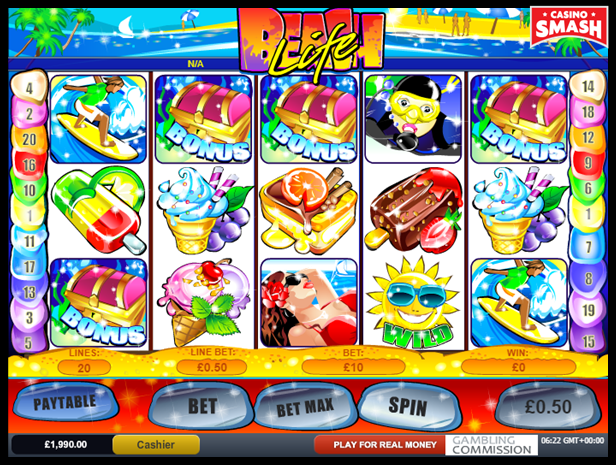 No matter what time of year, the Beach Life video Slot is one of the most popular video Slots around. This Slot allows you to win huge life-changing money while making you feel like you are basking in the sun when in fact you are playing from the comforts of you own home. The main reason this Slot is popular isn't the simple graphics or fun atmosphere. But the chance to make yourself filthy rich. The progressive jackpot has been known to exceed $2 million! Wouldn't you like to get your hands on that? The Beach Life video slot is powered by Playtech and you should definitely play it if you feel like you deserve some holidays already. I don’t know about you but all this mania to romanticize vampires is getting a bit old now. That’s why playing Slots featuring the classic blood-sucking vampires is so refreshing. And Blood Eternal is the best of these Slots. 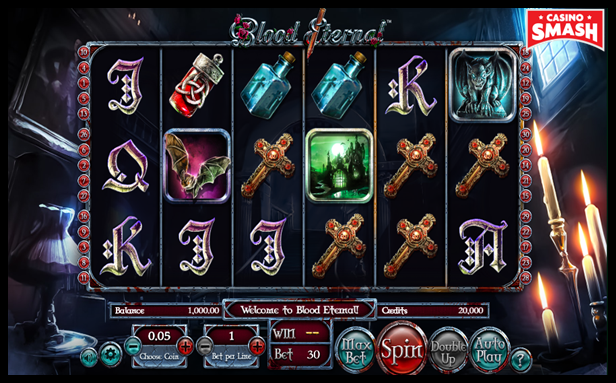 Not only this Slot is dark and bloody and dangerous, it features the typical symbols that remind you the vampires are monsters, not teenage crushes. Blood, bats, castles, and vampires on the six-reel three-row structure. And you know what’s the best part? Once you land a human and a vampire on the same row next to each other, you activate the free spins. Because essentially, the vampire drinks the human’s blood. You have to be awarded for that, obviously. Okay, call me creepy but try this video Slot nevertheless. I’m sure you will enjoy it. 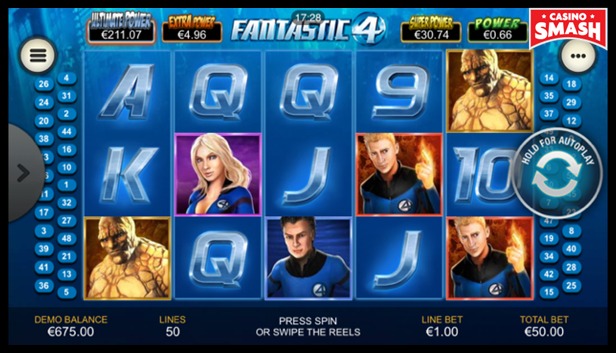 Fans of the marvel comic and movie, Fantastic Four, absolutely love the the Fantastic Four video Slot by Playtech. The superb graphics make you feel part of the action. This game features all the best characters of the comic book including Mr Fantastic, the Human Torch, The Thing, and the Invisible Woman. Each of these four characters in this five-reel 50-line video Slot adds tons of excitement and can trigger a fun mini-game where you can win a bit more cash than in the normal mode of the game. There is no wonder why this Slot has been known to reward many over the years and has been on many player's top list of favorite games since it has been released. If you thought there’s no place for retro video Slots on this list, think again. Booming 777 Deluxe is what happens when a developer takes a modern approach on retro Slot machine. 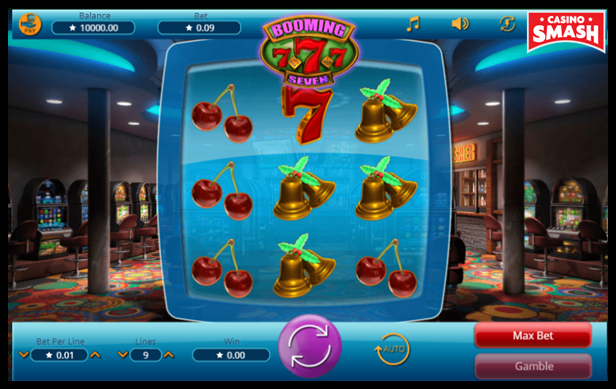 Booming 777 Deluxe is three-reel three-row Slot with 10 paylines, classic Slot machine sounds, and originals symbols: 7s, bels, gold bars, cherries, and other fruits. The soundtrack. Enterntaining and cheerful. 3D graphics are visually appealing. Animations. Slot machine room in the background. If you are nostalgic for retro Slots but want a modern game to play, this is the Slot to try. The Incredible Hulk has been entertaining many for decades via the popular comic books, tv shows, and the movie. The Incredible Hulk video slot by Playtech brings you a chance to become Bruce Banner and release your inner rage. 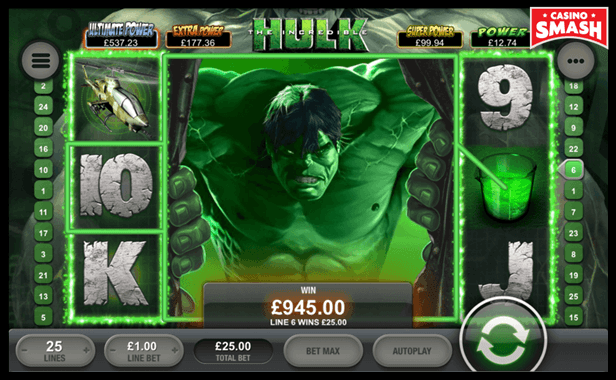 This five-reel 50-line slot machine not only allows you to rage until your heart is delighted, but also has many rewards while providing you exciting video clips of the blockbuster movie, The Hulk. One of the best features of this game is the lucrative Smash Bonus round which can be triggered by finding just one Smash Bonus symbol. The goal of the Smash Bonus round is to destroy seven police cars since doing so will reward you with seven great cash prizes. Yet another Playtech masterpiece, the Gladiator video Slot transports you back in time to when the Emperors reigned supreme just like the cult classic movie. 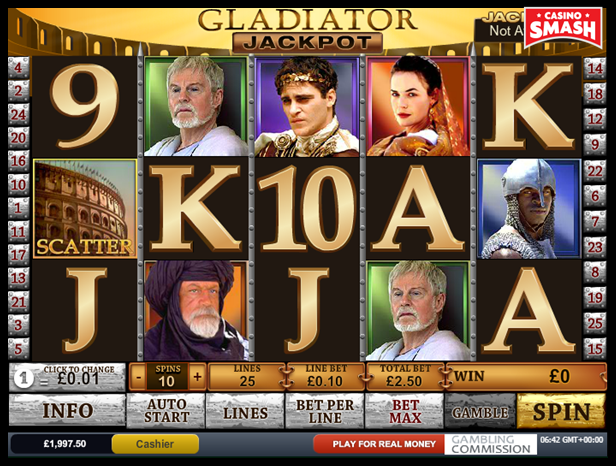 This five-reel 25-line Slot features all your favorite characters including Maximus, Emperor Aurelius, Emperor Commodus, Senator Gracchus, Lucilla and Juba. Did we mention that Maximus is represented by none other than Russel Crowe? The great graphics and gameplay keep many players coming back for more. It also doesn’t hurt that there is a progressive jackpot that can change just about anyone's life and is currently over $1,000,000! 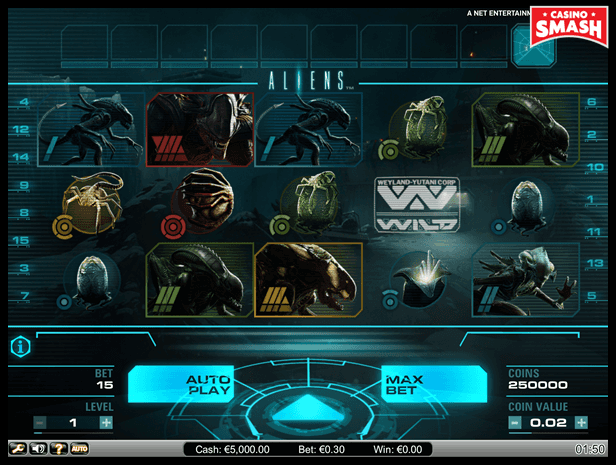 The Aliens video Slot is not one of the newest games in town but still one of the most popular games for good reason. First of all, this Slot returns an amazing 96.4 percent and pays out almost one out of every four spins. But main reason people keep coming back to this online Slot machine is the amazing 3D graphics. The game features three different levels, each with different objectives, which can't help but make you think you are hunting aliens just like in the 20th Century Fox blockbuster movie. The Aliens video slot is powered by NetEnt. The goal of the game is to work your way up to Level 3 (otherwise known as The Hive) and to kill the queen alien to collect 240 X your bet. Even if you can't kill the queen, there are plenty of other ways to accumulate cash while trying. 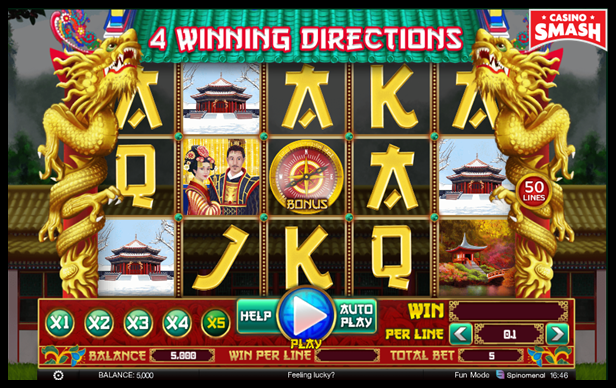 Chinese shrines, golden dragons, mesmerizing parks… 4 Winning Directions is an Oriental video Slot by Spinonemal that will make you want to travel to China. Based on Chinese legend about four guardians, it brings beautiful graphics, calm oriental tunes, and awesome RTP of 97.2 percent. You’ll see typical Chinese and Asian symbols that foreshadow good luck and fortune. To see if these symbols bring luck to you, too, you only need to spin the reels. 4 Winning Directions video Slot has five reels and three rows, accompanied by 50 paylines. There is a bonus game and bonus wheel included while the main game features wilds, scatters, free spins, sticky wilds, and more. The South Park video Slot features all the main characters of the popular tv show and movie South Park: Bigger, Longer, and Uncut. It was up to NetEnt to develop this Slot and they did a damn good job. 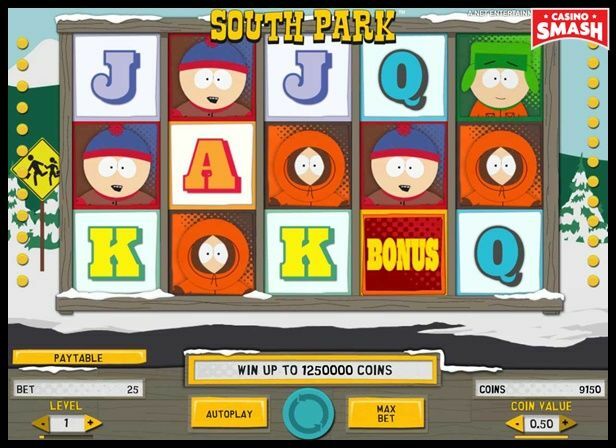 The South Park video Slot is more like an arcade game when compared to most video slots. Unlike the tv show or the movie, this game allows you to actually control some of characters' behavior and even have control of saving Kenny's life in a special bonus round. This game can not only make you laugh like you would expect anything South Park related but can make your bank account see balances you never thought were possible. Also, this five-reel 25-line slot can not only reward you quickly with wins up to 1,250,000 coins, but also reward handsomely via randomly triggered mini games, wild cards, and bonus games. 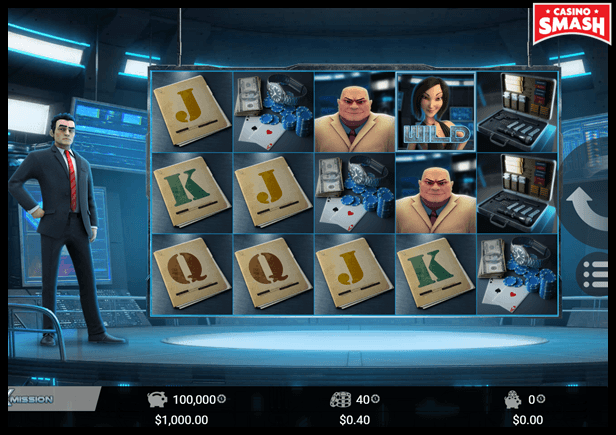 Agent X Mission is a new Slot by MrSlotty, released earlier this year. Don’t dismiss the Slot if you haven’t heard of the developer before. Mr Slotty is not a giant like NetEnt but they showcase brilliance in Casino games and I’m sure we’ll see more of them soon. Agent X Mission has five-reel three-row and 40-payline structure and it’s all about the agent, his beautiful accomplice, evil villain, weapons, top secret files, money, and gambling. This video Slot has a decent RTP of 96 percent and it will appeal to any James Bond or Mission Impossible fans. If you land five wilds, you win 777x your bet. Symbolic number but the prize is pretty good. And let’s not forget about free spins you can get with scatters: land three scatters – get seven free spins, land four – 27, five – 37. That can help your bankroll by a mile and then some. 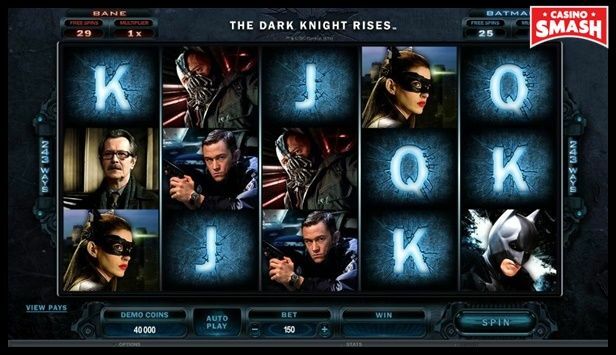 The Dark Knight Rises video Slot is (surprise, surprise) based on the popular blockbuster film bearing the same name. This Microgaming’s action-packed game gives you the chance to save Gotham City from the evil Bane while spinning away for big money at the same time. If you don't like the idea of being the good guy, you can choose to channel your inner evil and become Bane while attempting to destroy Gotham City. Besides the endless entertainment this game provides, you will also find many chances to win. The likelihood of winning something on this slot on any particular spin is decent since it features five reels and 243 paylines. Pamplona is one of the best Slots IGT ever developed. 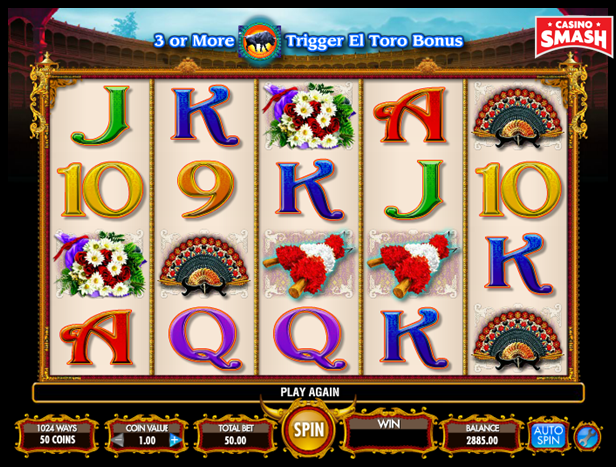 As you might have guessed, this slot brings to life one of Spain's most famous events: Pamplona’s San Fermin Festival. Rather than risk your life by coming face to face with an angry Spanish bull, you can sit back and relax in the safety of your own home with this popular video slot while experiencing one of Europe's most well-known events through the game instead. This Slot features more chances than any of the others on this list - five-reels and 1,024 chances to win on every spin. And your chances are increased for big bucks with wild cards, bonus rounds and free spins! This game also allows you to partially control your own destiny since you can decide what your own El Toro bonus will be. 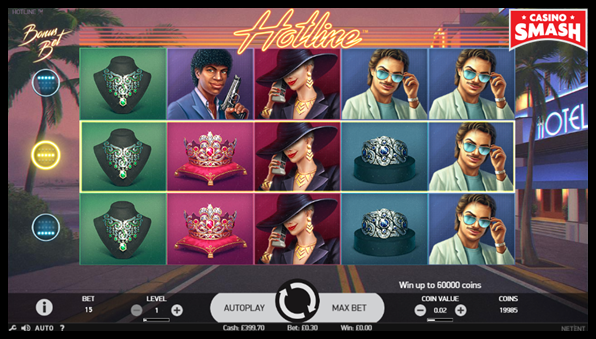 It’s only sense to end with one of the newer but no less brilliant video Slots – Hotline by NetEnt. Inspired by 80s, Miami, and detective TV shows (read: Miami Vice), it brings you awesome 80s tunes, unique features, and an incredible RTP of 97.04 percent. If you decide to play this game, you’ll join a duo of detectives to look for a jewelry thief that also happens to be a beautiful woman. All the symbols depict exactly that – the pretty thief, two detectives, and tons of expensive jewelry. Special feature, Hotline Bonus bet, lets you choose a row or rows on which all the landing wilds will expand. If you happen to trigger respins, they will also stick there. Bonus info: terms and conditions apply to the offer. If something isn't clear, have a look at our review of All Wins Casino for the T&Cs in full. The offer on this article might have expired by the time you read it. Please refer to the review pages for the latest bonuses and promotions available. Jackpot Games: Play Slots and Win Progressive Jackpots!